We make managing timesheets the easiest part of your job! Monitor your employees' ClockIns and ClockOuts, as well as their work hours including break and meal times! SMBs and Enterprises, local shops to Fortune 500 enterprises, our workforce management software is customizable to fit any business size. When we started Hangar 646 we hired 20 people - now over 100. TrackTime24 allows us to create our company’s work schedules and manage work time in a transparent and intuitive way. Thanks to TrackTime24 user-friendly interface whole company gains clarity in so many day-to-day aspects. Fast and simply installation - there was no need to call IT crew. Also small monthly payments has not exhausted our budget. TrackTime24 is very easy to use and extremely intuitive. The first steps were easy to do because of transparent and easy navigation. We use TrackTime24 since January 2016, collecting clock ins and outs via mobile application gives us the possibility to monitor work time of our employees throughout Europe. We professionally activate over 400 disabled employees and TrackTime24 offers them intuitive way for tracking their work time and managing their work schedule and time off. Ditch paper, notes and spreadsheets! Replace them with all-in-one tool. Keep track of your staff's 100% real work hours. Monitor overtime and break times and lenght, get rid of early clock-outs and chronic lateness. The BEST way to spend 80% less time scheduling your employees. Ditch Excel! 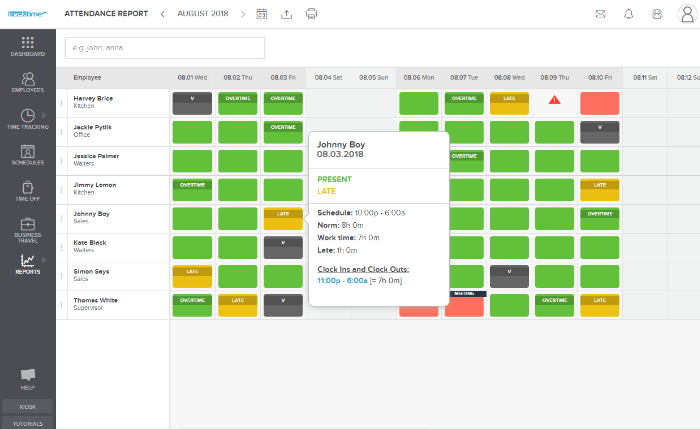 There’s a better way for staff scheduling. Get an online leave tracker to easiely plan vacations and days off for your whole team. Keep track of your staff's time off and holiday requests. Try an absence management system that ticks all the right boxes and saves your time. Simplify the way you plan, approve and manage business travels. Easily delegate employees, create discussion channels for business trips and store all necessary files in one dedicated place. With us your team are more effective and company more efficient. Pay your employees only for worked hours including breaks, early leaves or late arrivals. Additionally take control over the overtime. Don't waste your time on collecting attendance lists or planning schedules. Do it in the matter of minutes not hours! Say 'bye, bye' to paper or/and Excel. Say 'Hello' to digital world! Generate all lists, reports etc. in real-time in one-click. TrackTime24.com works on any browser and on any device - PC, laptop, tablet, smartphone. It is completly responsive. Our experts are ready to help you take your firsts steps using TrackTime24. Thay are available through chat, e-mail and by phone. TrackTime24 uses the world's safest servers - Microsoft® Azure®. All information is encrypted and no one other than you or your employees can gain access to it. We always prioriterize our users privacy and security. We are fully compliant with EU privacy and data protection law. 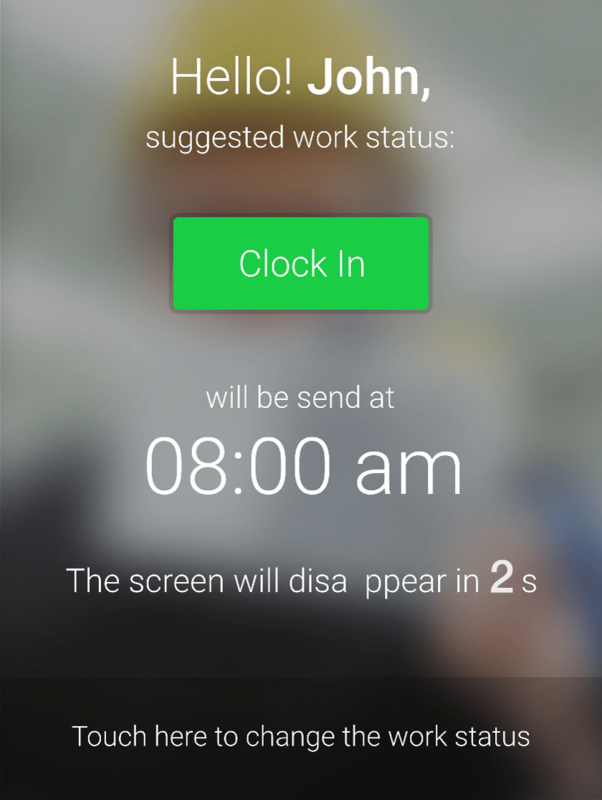 Turn your Smartphone or Tablet into a Mobile Work Time Clock! Free mobile app for any device running on Android or iOS. Identification is done in less than 1 second! 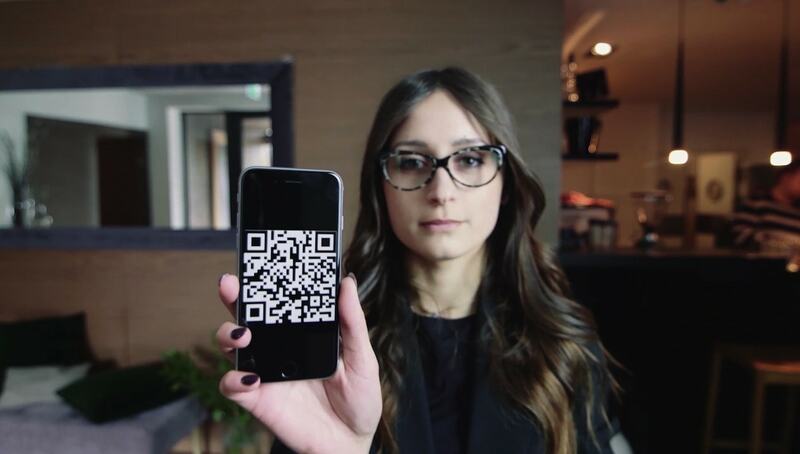 QR cards can be printed out or saved on phones. Employees don't have to choose their work statuses manually, the app does it for them. Every event is marked with a GPS location and a photo - say bye, bye to buddy punching. All stored data will be send when internet connection will reappear.